Following the success of the Silverdale and Arnside Art and Craft Trail, you may like to look at some of the work of artists working in and around the Village all year round. Come and browse a range of original art, quality giclee prints, cards, gifts and interesting bits and bobs at Janice McGloine's Studio and Gallery in the garden of Wolf House and watch the artist at work! 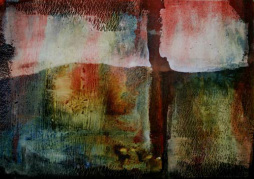 Wolf House Studio & Gallery, Lindeth Road, Silverdale, LA5 0TX. I work in mixed media, painting, creating digital images from my paintings, and photography. I am now also producing innovative artwork on my ipad. My abstract paintings are about metaphysical and human themes, such as healing, spirituality, communication, relationships, ‘parallel universes’, and the unconscious mind. I have an Edexcel BTEC National Diploma in Foundation Studies Art & Design, and NCFE Intermediate & Advanced Certificates in Creative Craft in Drawing and Painting. Since 1996 I have been exhibiting my work in both group and solo exhibitions in Cumbria, Lancashire and London, and have sold over 200 pieces of artwork since that time. 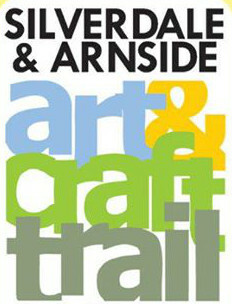 I take part in the Silverdale Arts Trail and am a member of Kendal based Green Door Studios artists. My studio is in my own home and people are welcome come and view my paintings – just as long as they arrange a suitable time with me. Phone 015395 62093 or 07515 807366 or email me. I buy fleeces from farms in Arnside,Silverdale & Yealand Conyers. I handspin, knit & weave the wool into garments & furnishing accessories. I also produce millspun knitting wool from the same source. 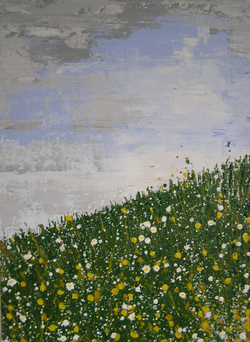 My work can be seen at Greenlands Farm Village,Tewitfield & Posh Sardine, Arnside. Knitting wool is available by mail order from me, free samples of yarn on request. Art entered my life at a young age, at the local primary school we were asked to paint a picture for the local horticultural show, I did and it won first prize.. I never quite got over how something I could create could make people smile! Never academic but always creative, my love of Art continued through high school, I achieved little success in my CSEs but thankfully Art and Design I passed with flying colours. My passion was lost to me for many years, family and day to day life taking priority as an Army wife for over 20 years. For me the biggest thrill of all is still realising that the emotion remains that I felt over forty years ago in The Gaskell Hall Silverdale.. I can create something that makes people smile. I cannot guarantee that my style will be to everyone’s taste but I can guarantee that years of passion and a little part of me will be contained in every canvas.